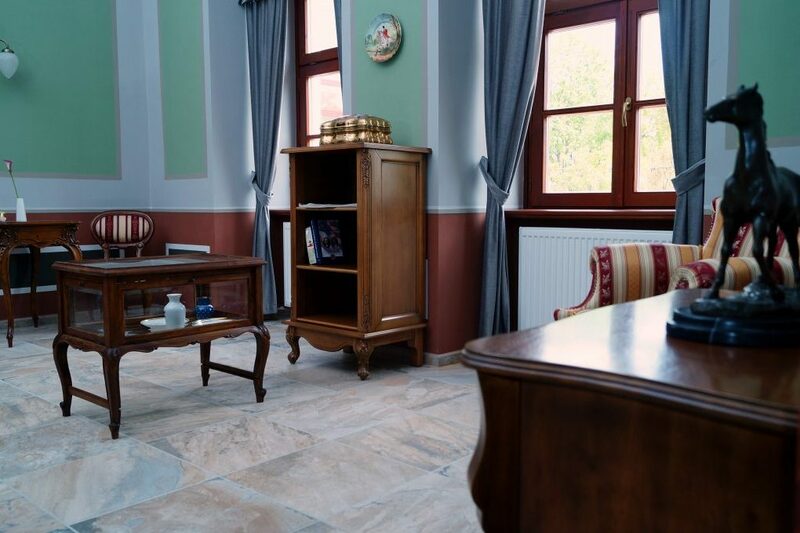 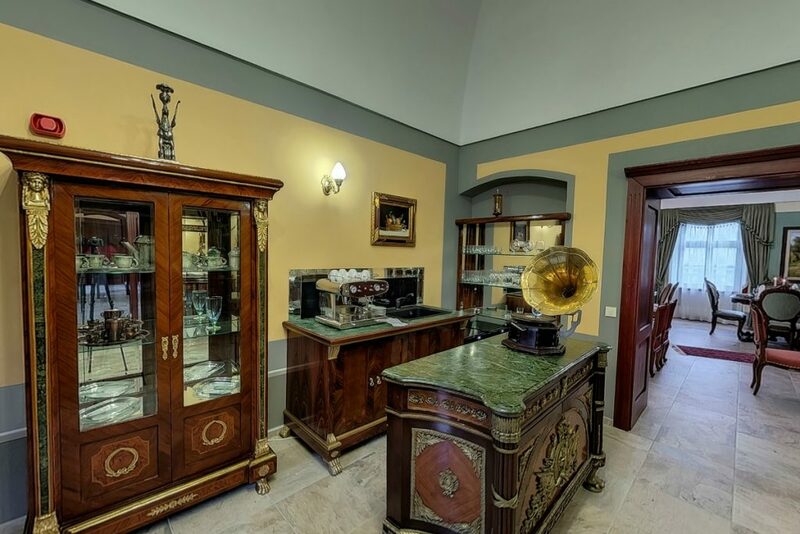 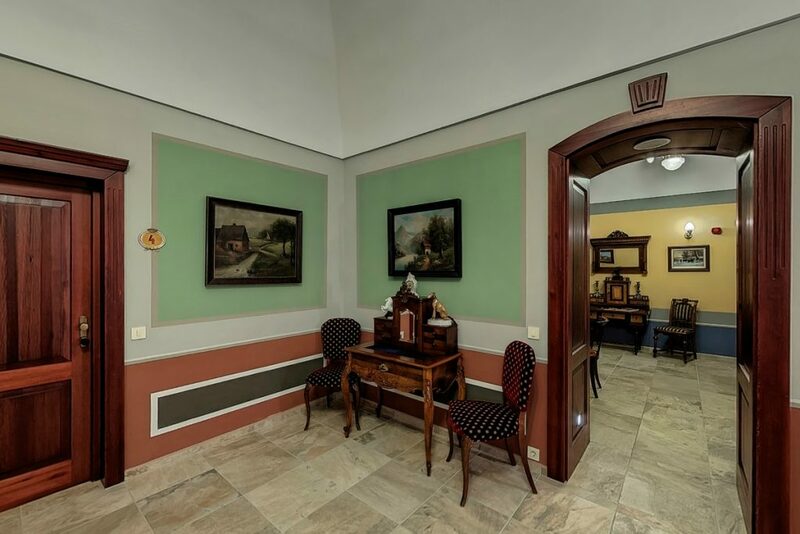 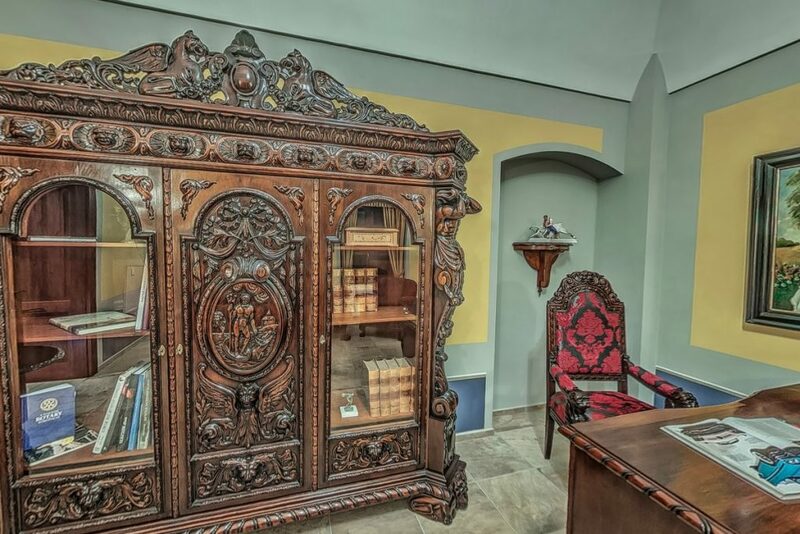 In our main building there are 7 original arched single and dual rooms and suites in the 18th century neo-baroque style palace with era-authentic furniture. 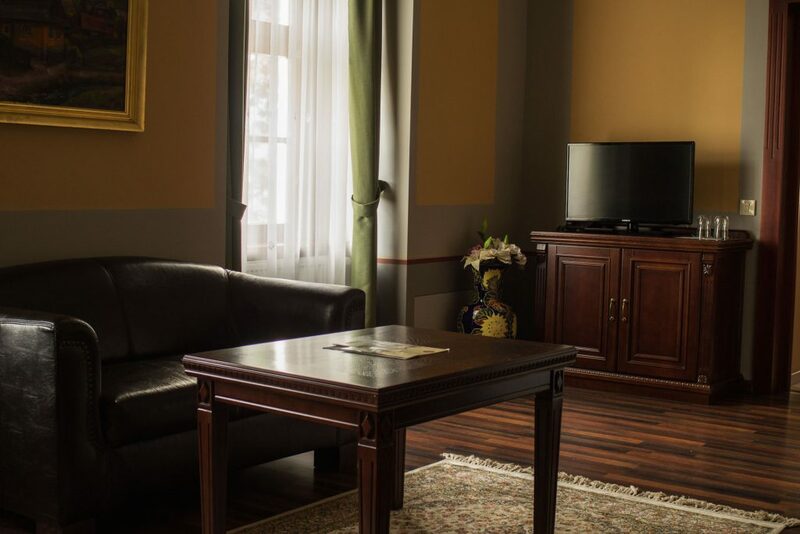 All of our spacious palace rooms are furnished with beds providing luxurious relaxation, they can be fitted with extra beds, are air-conditioned, have shower containing bathrooms, are equipped with a hair-drier, bath-robes, a safe, a LED TV, a minibar, phone and unlimited WIFI internet access. 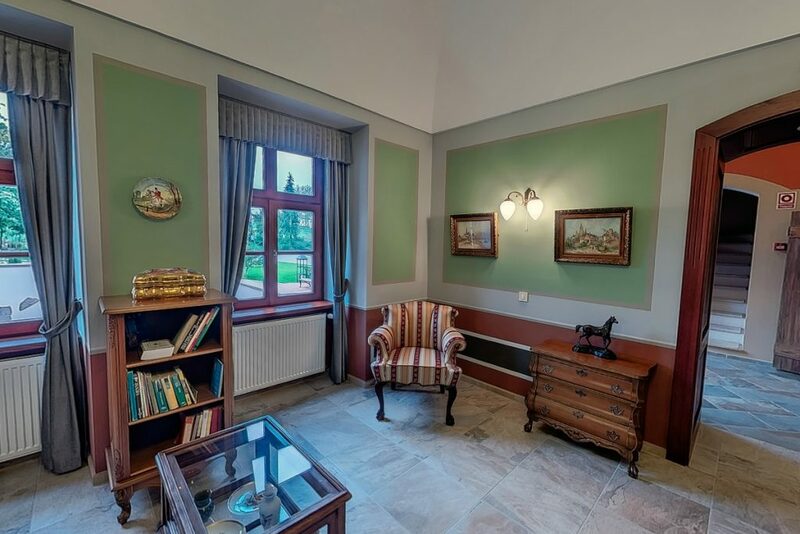 We primarily recommend our palace rooms to couples and families who wish to reminisce in the era’s atmosphere and to those who arrive to visit the region’s hunting grounds. 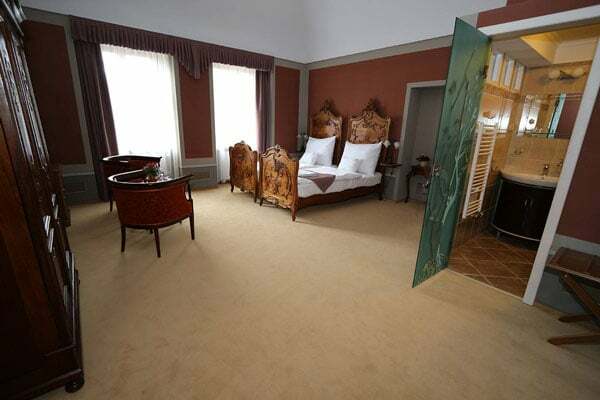 This is where 2 hypo-allergenic rooms are located which contain era-authentic furniture, one bedroom and a living-room. 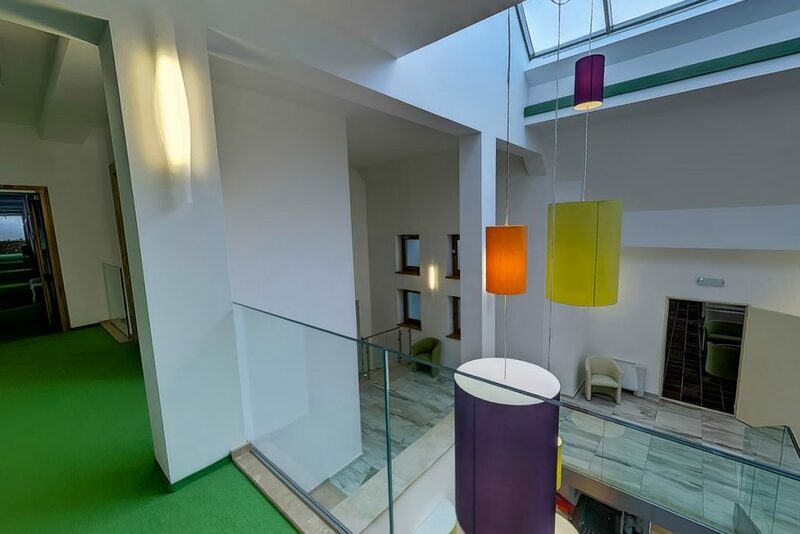 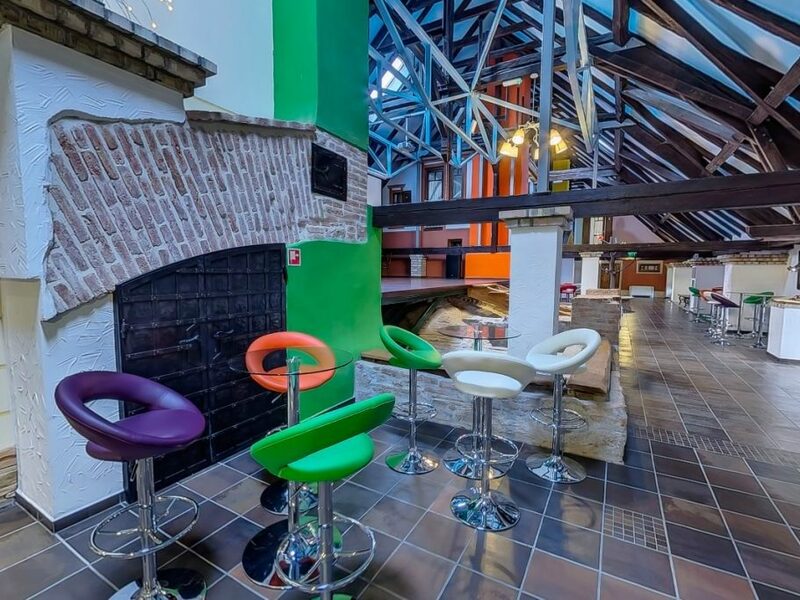 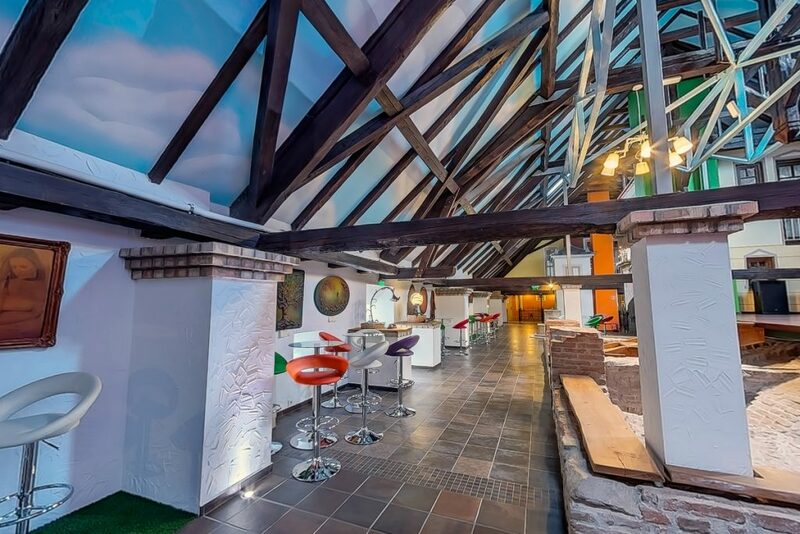 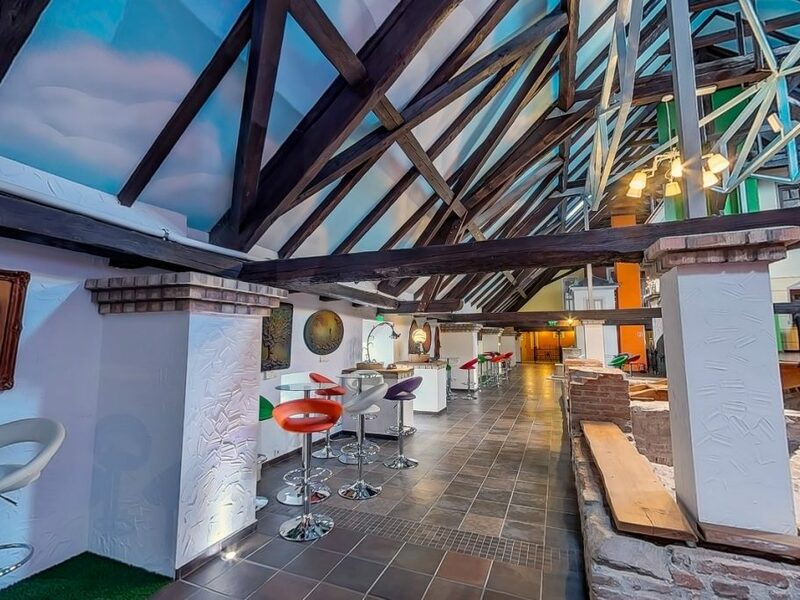 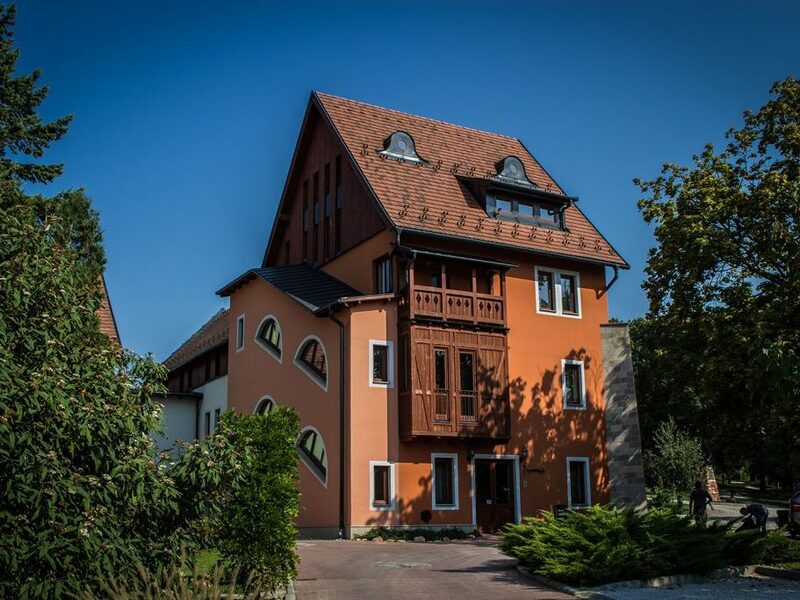 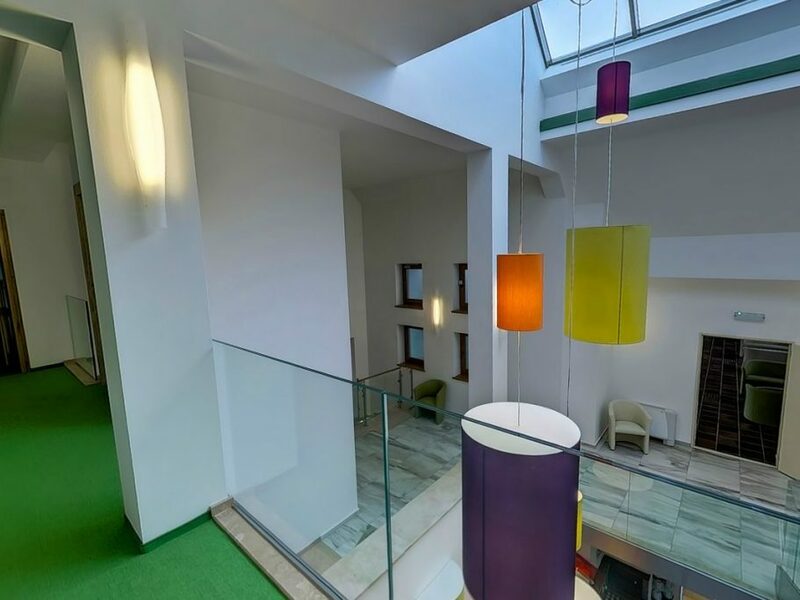 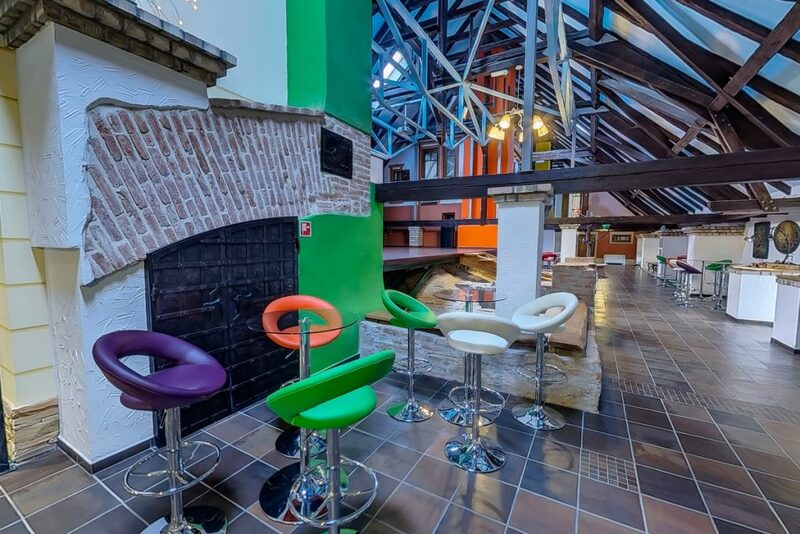 The extensive space in the attic of the palace, which used to serve as grain storage, has completely been “redressed” and offers something that is unparalleled in Hungary: a city contained in the palace, the 700 m2 “street and square” includes 8 so-called city apartments, which partially surround the grand-stage constituting a widened-out square on the “strolling street”. 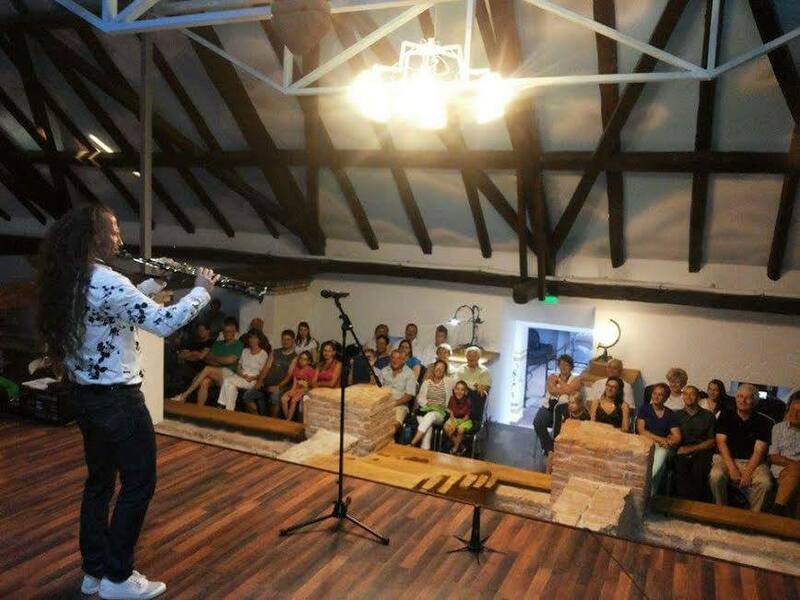 On the stage during the day children’s programs, in the evenings various – music, dance, film – programs entertain our guests (view our cultural program guide here). 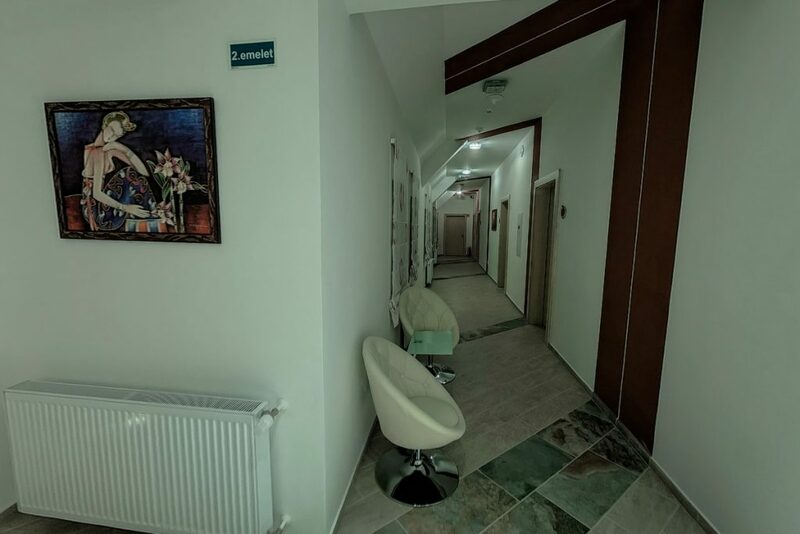 The apartments have two levels – they consist of a living-room and a loft (bedroom) -, they have floor-space and equipment suitable for the accommodation of 2 to 6 persons. 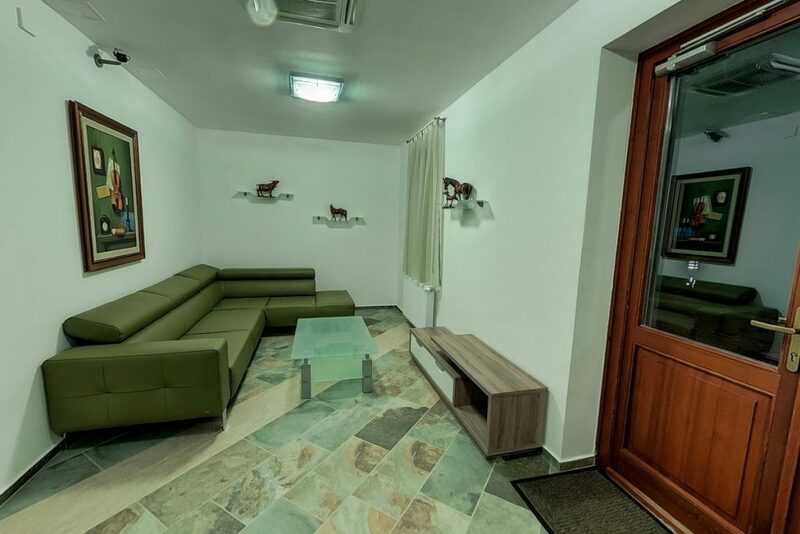 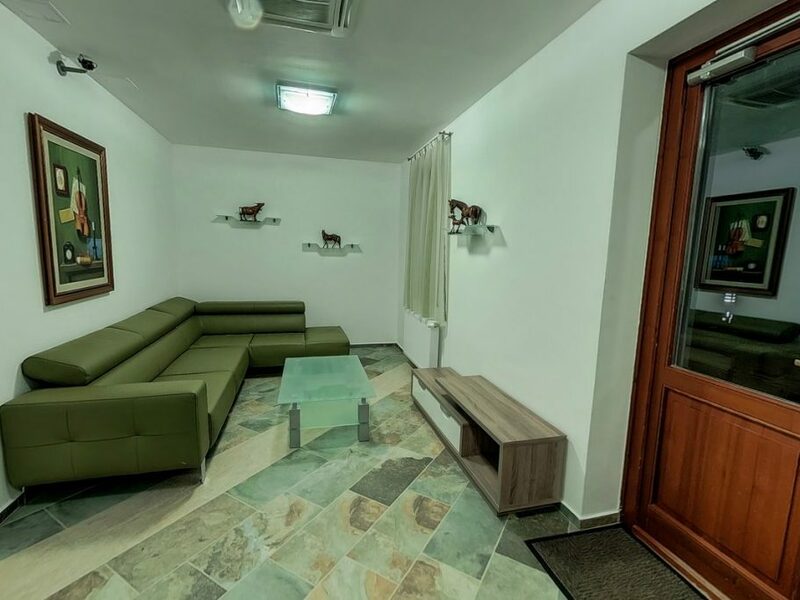 In the apartments the comfort of small or large families is served by a hide-a-bed couch with the most comfortable sleeping surface, a minibar, a room-safe, a LED TV, phone, unlimited WIFI internet access, shower containing bathrooms, a hair-drier and bath-robes. 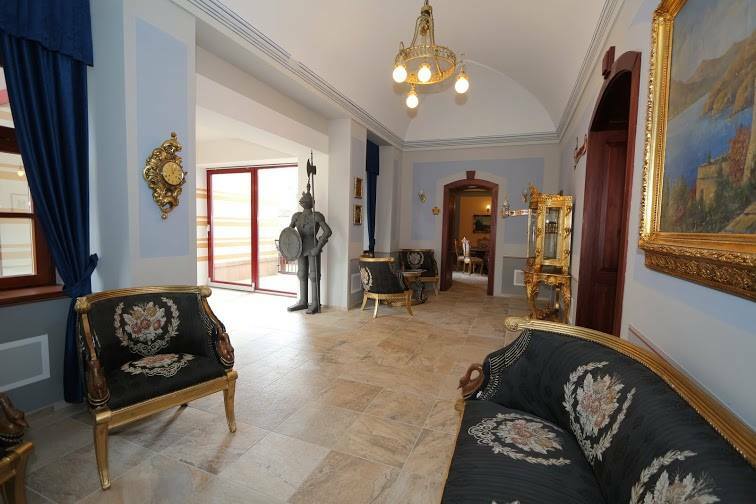 Their majority has its own small “yard”, terrace, or French balcony complete with garden furniture. 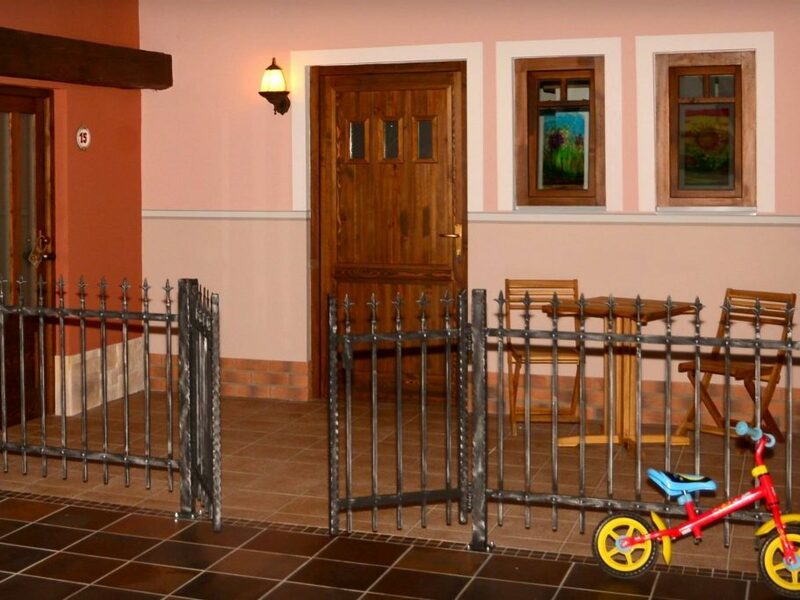 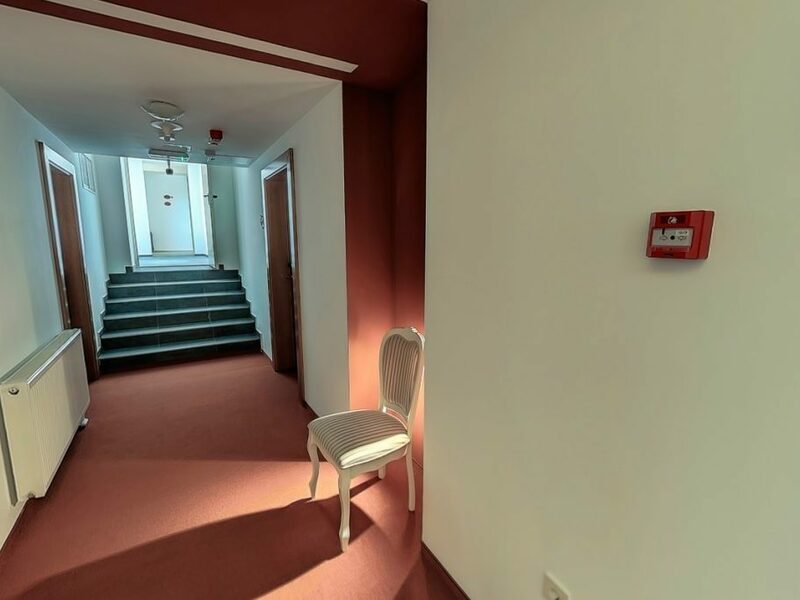 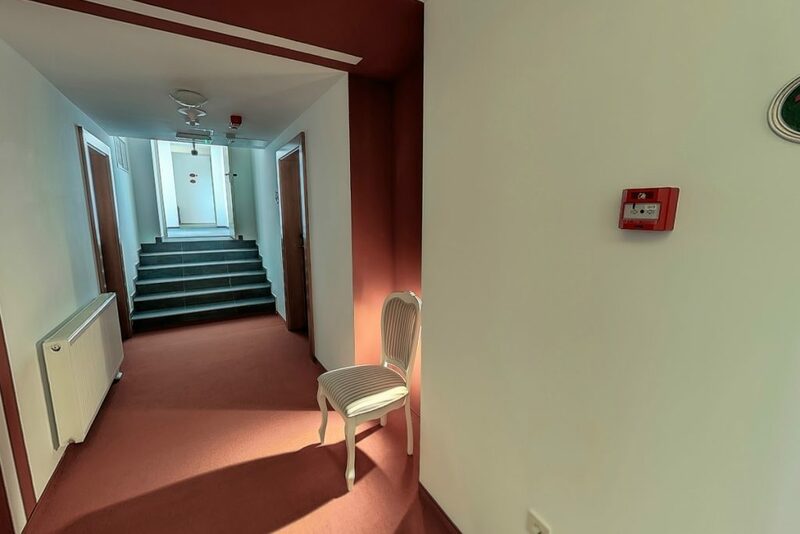 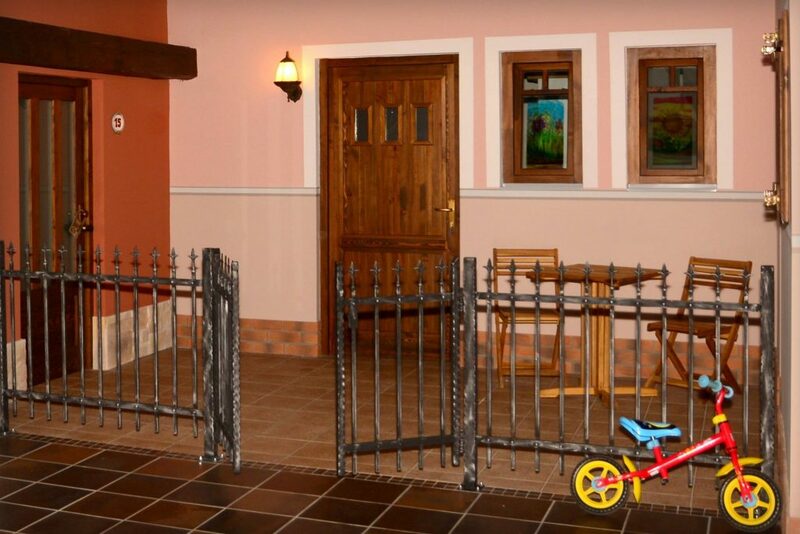 There is also a children’s game-room hidden “at the end if the street”, in the immediate vicinity of the apartments. 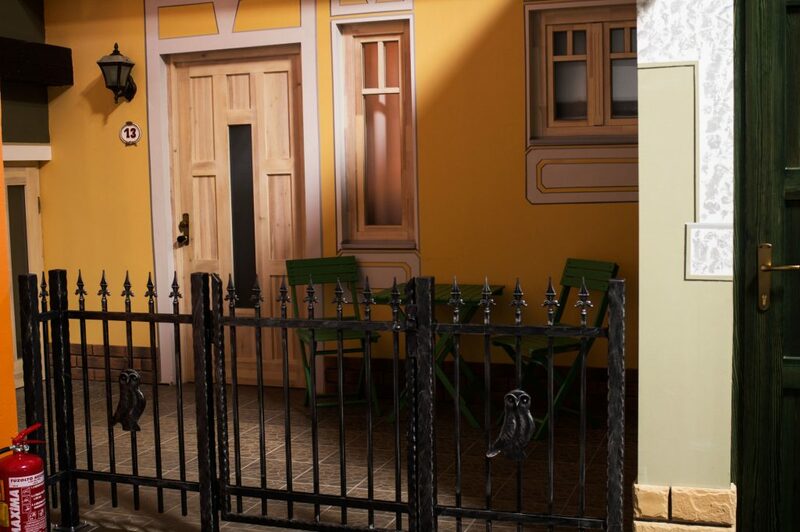 The enchantment of the strolling area is elevated by the water-fountain, the stone bench built around the tree, the square’s lighting, the display of various lights and colors. 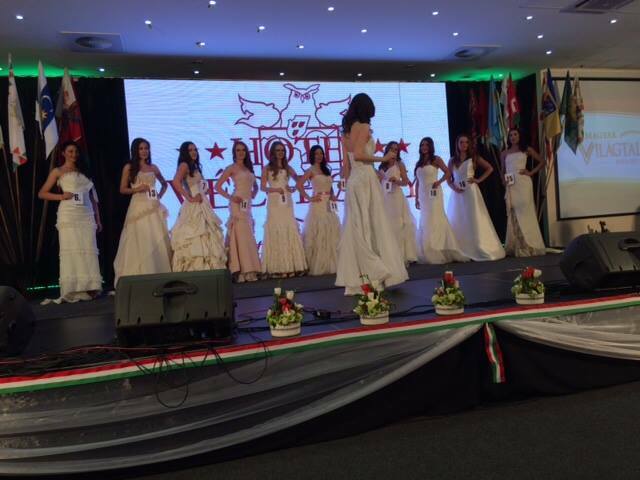 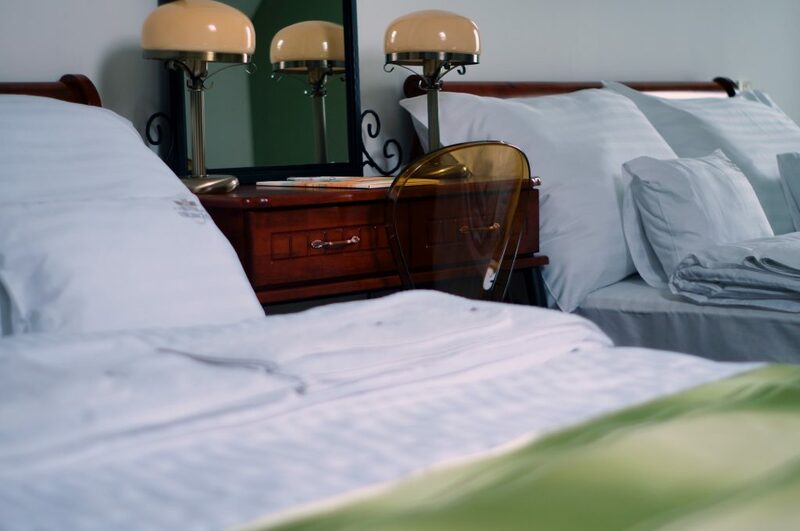 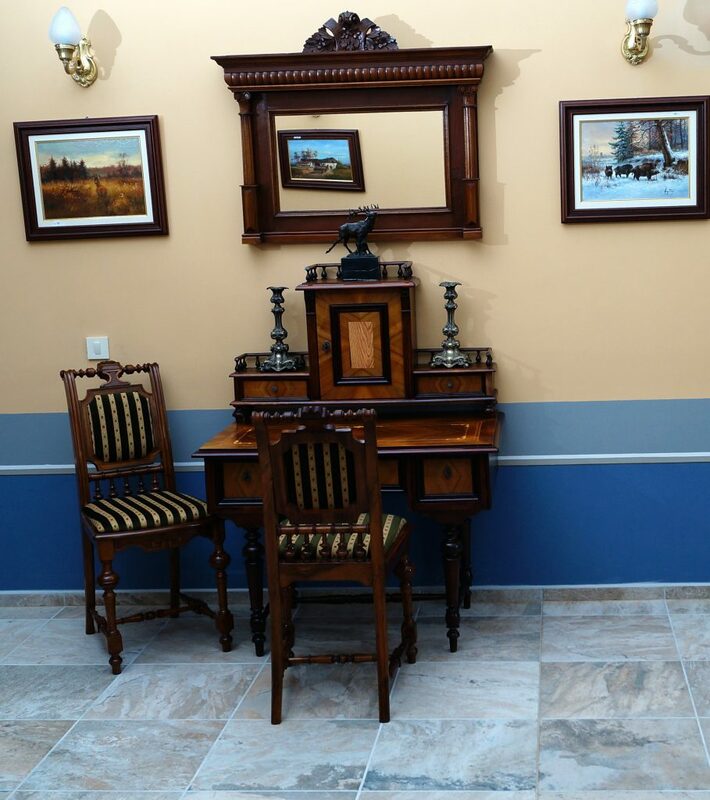 We primarily recommend our upper middle class style rooms in our Green House wing to business travelers and to middle-aged couples, who are fond of elegance. 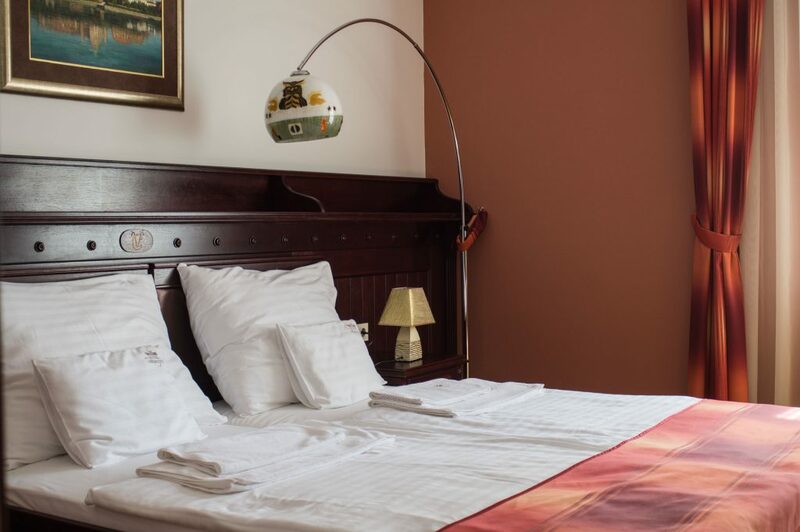 Every one of the rooms is equipped with a bathroom containing a shower, a hair-dryer, a bath-robe, a safe, a LED TV, a minibar, a phone and unlimited WIFI internet access. 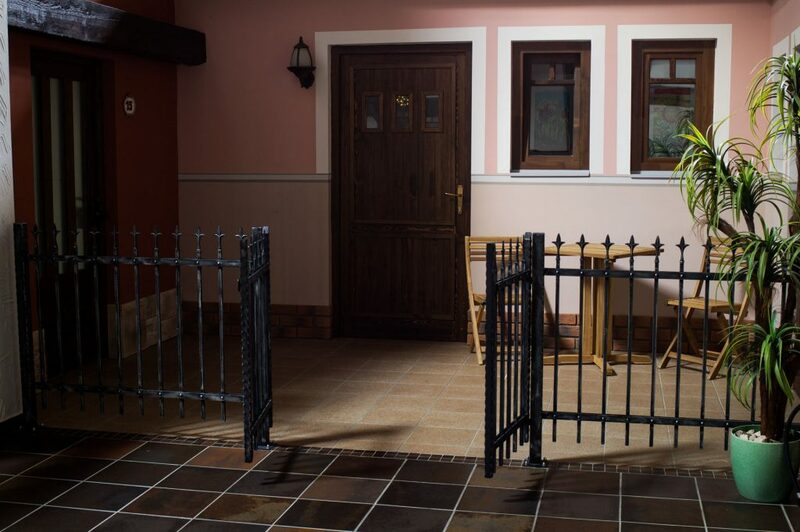 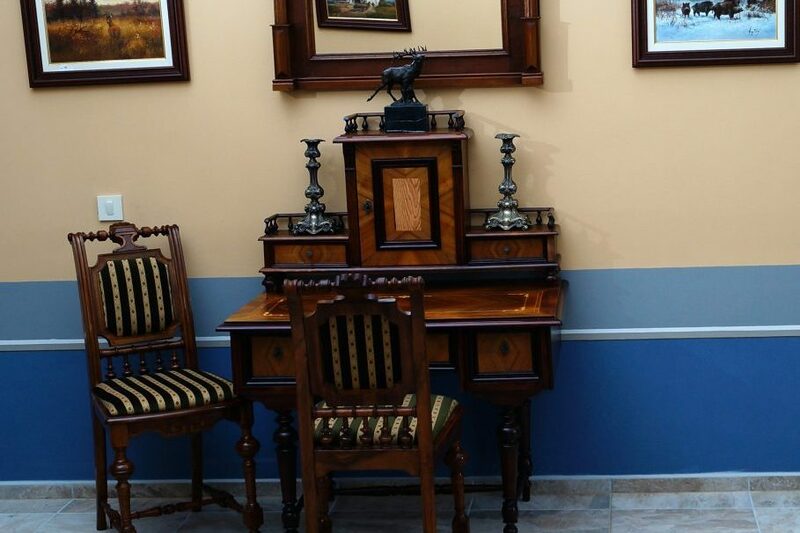 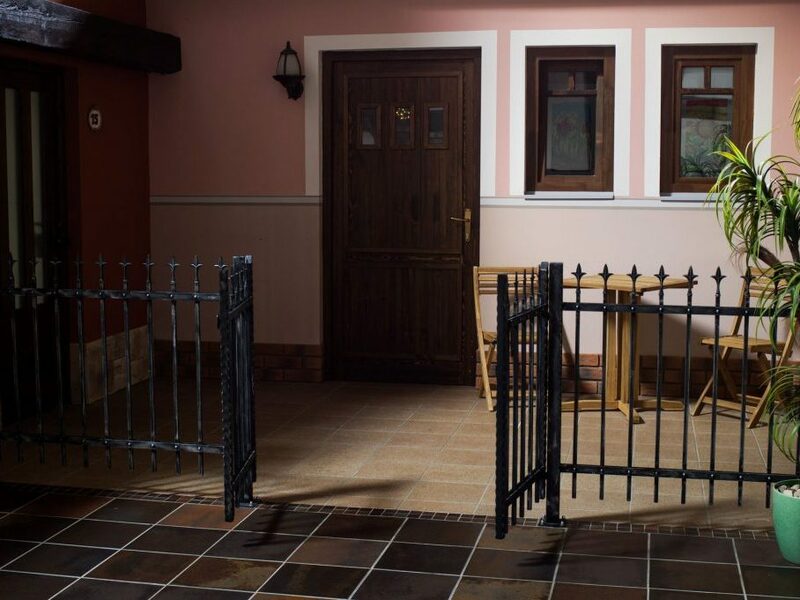 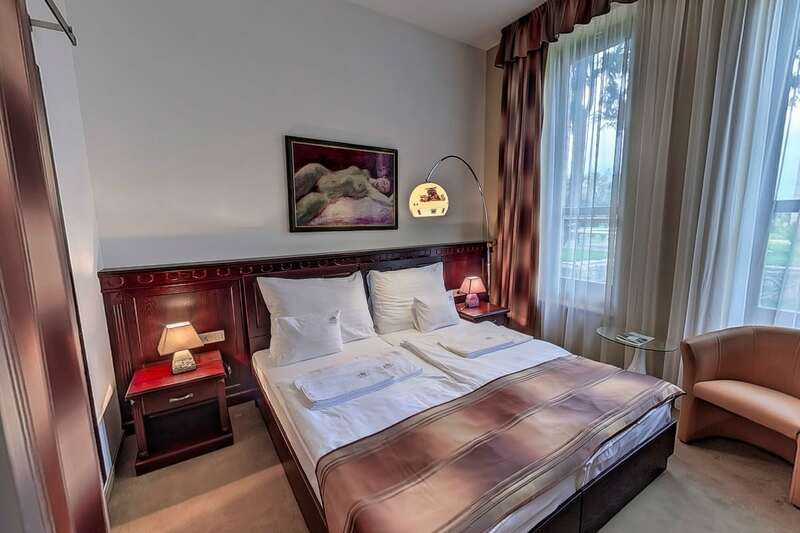 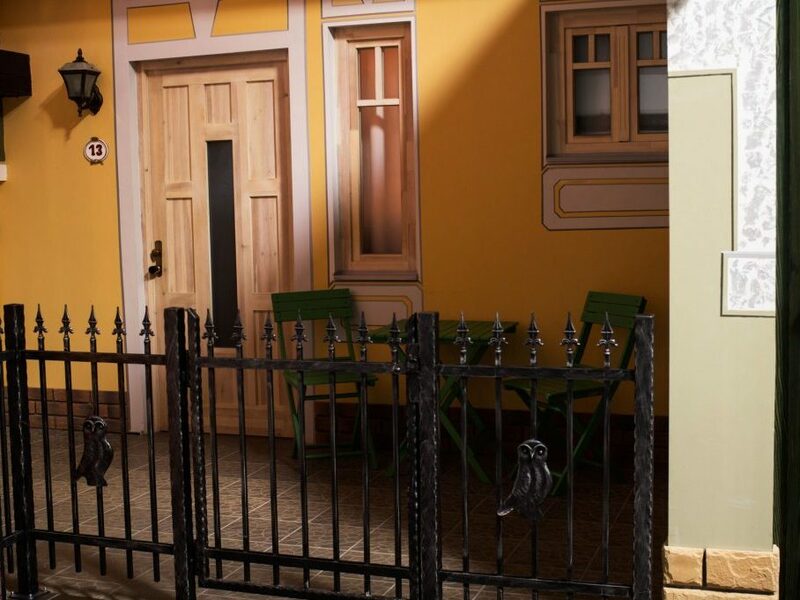 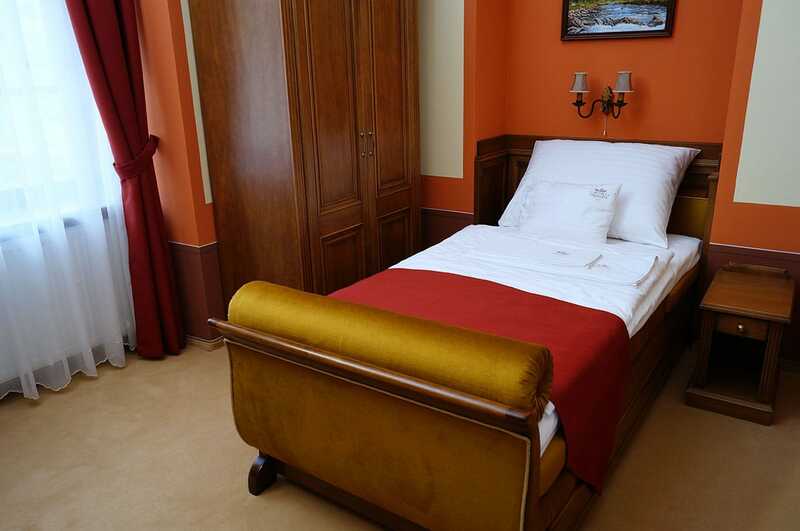 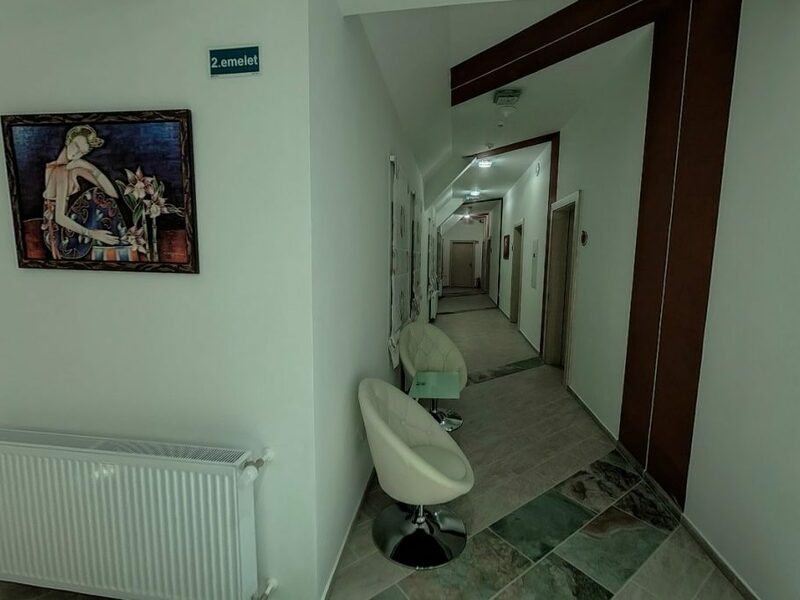 Our Delux American rooms have larger floor-space, provide a view of the Cserehát and are equipped with two 140 cm double beds each, ensuring the utmost level of comfort for 2 persons, but we also confidently recommend them to families, groups of friends. 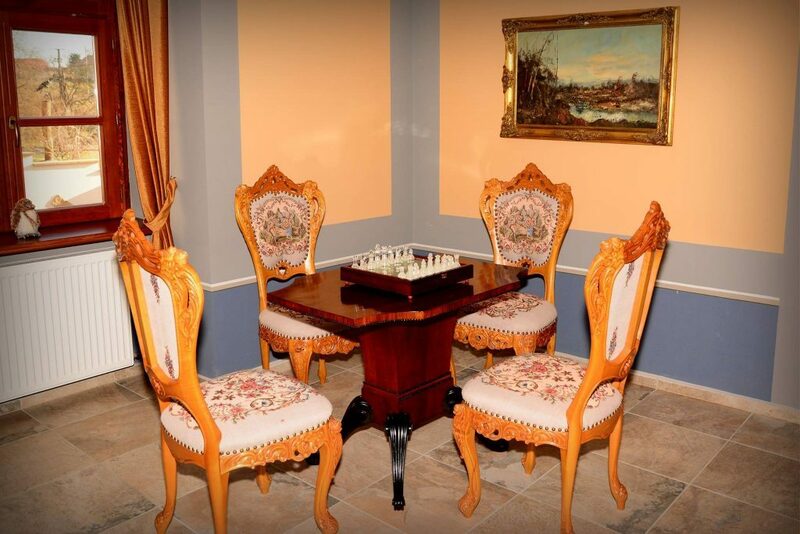 Our Superior rooms are equipped with upper middle class quality furniture reminiscent of palace rooms. 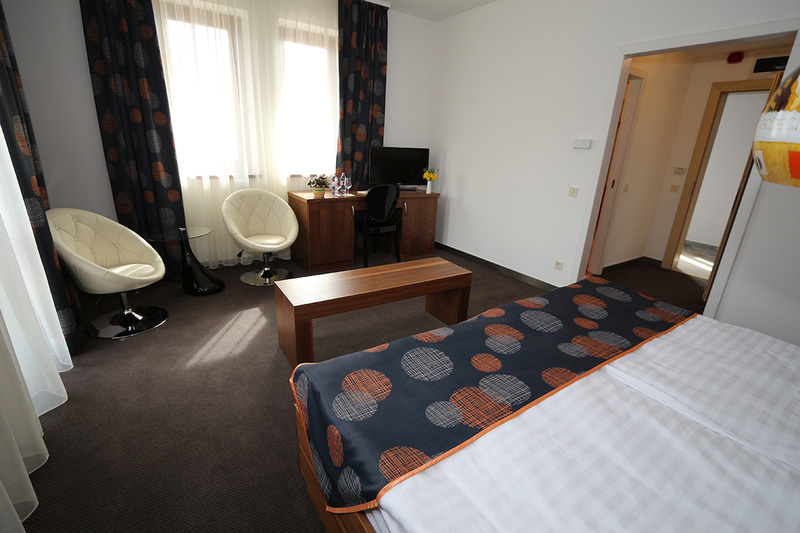 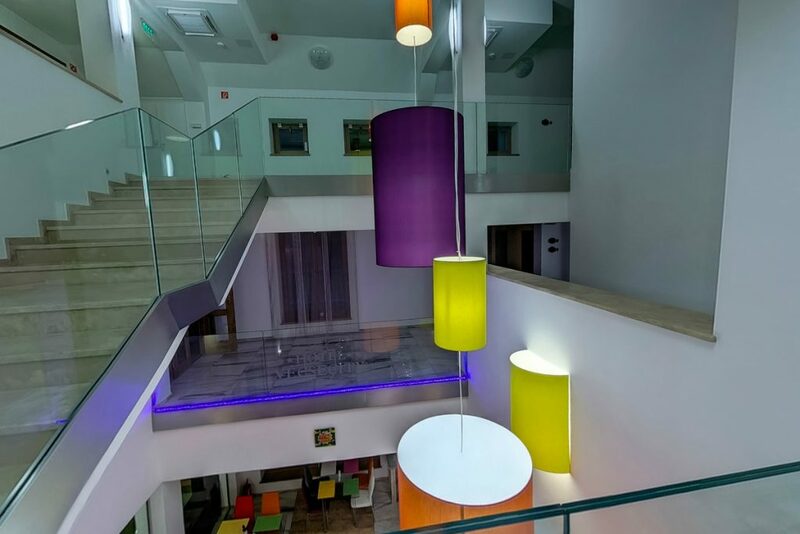 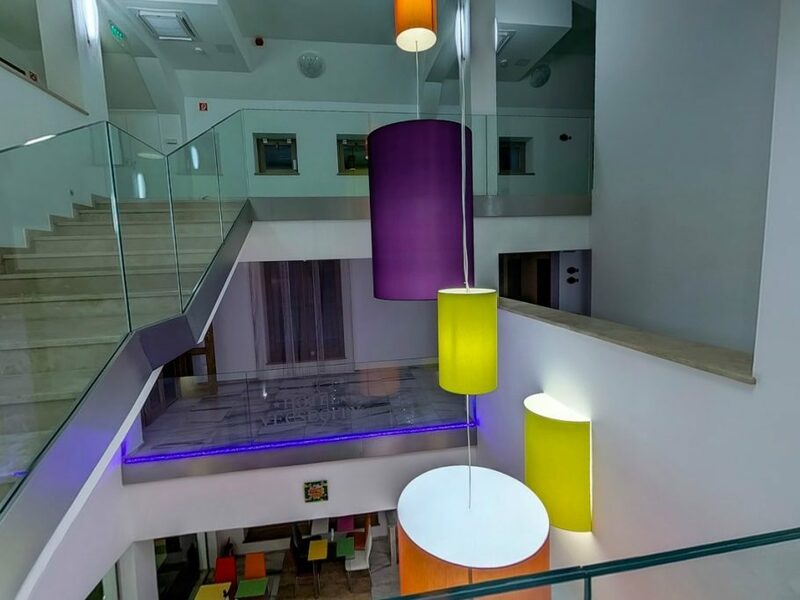 Our two rooms which are accessible for disabled persons are also located in this wing on the ground floor. 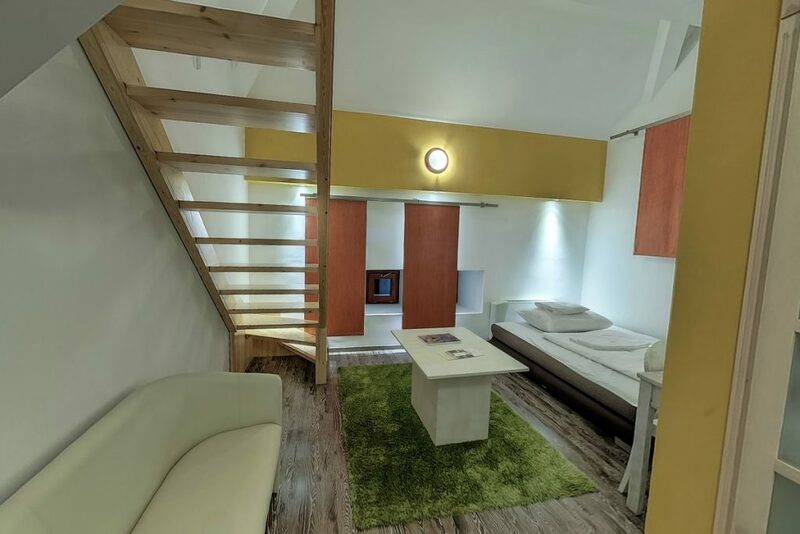 Our rooms located in our Red Tower wing are of minimal art style, they are equipped with modern, lively furnishing. 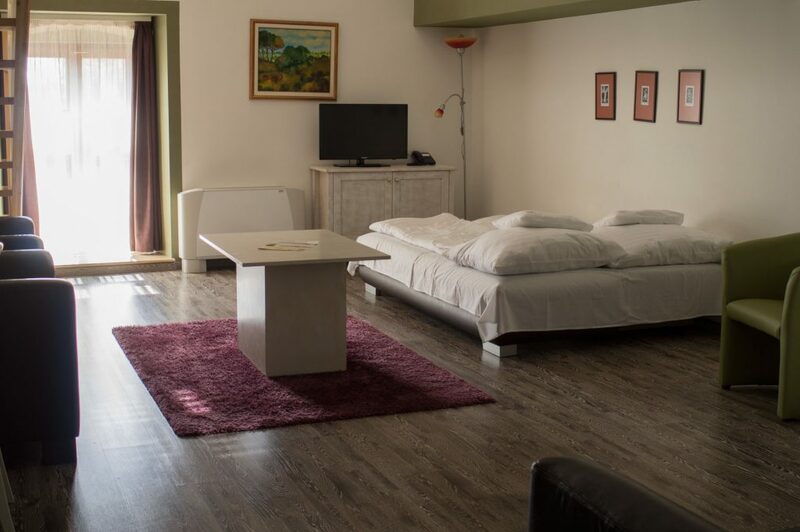 We mainly recommend these rooms for young couples desiring romance, groups of friends and to artists who wish to relax in an environment close to nature. 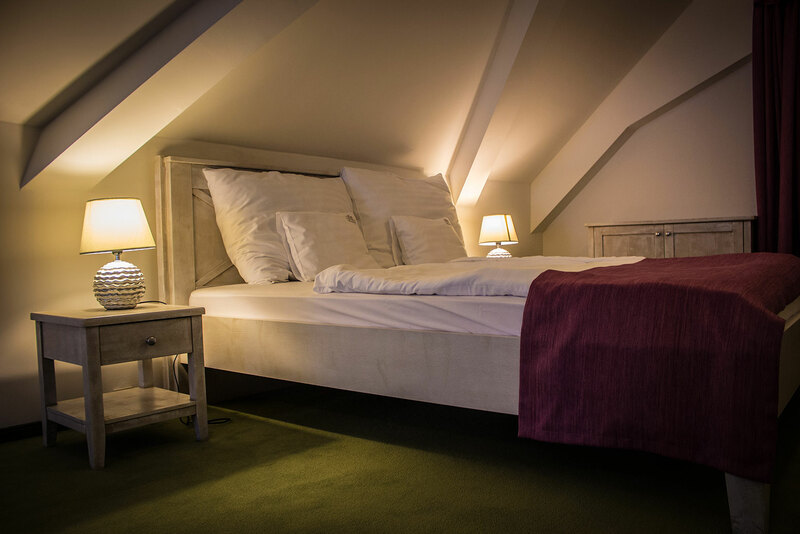 Our “Hunter” room, which has a separate entrance and its own terrace is an ideal place both for couples who desire more extensive relaxation and for our guests arriving for week-long hunts with dogs. 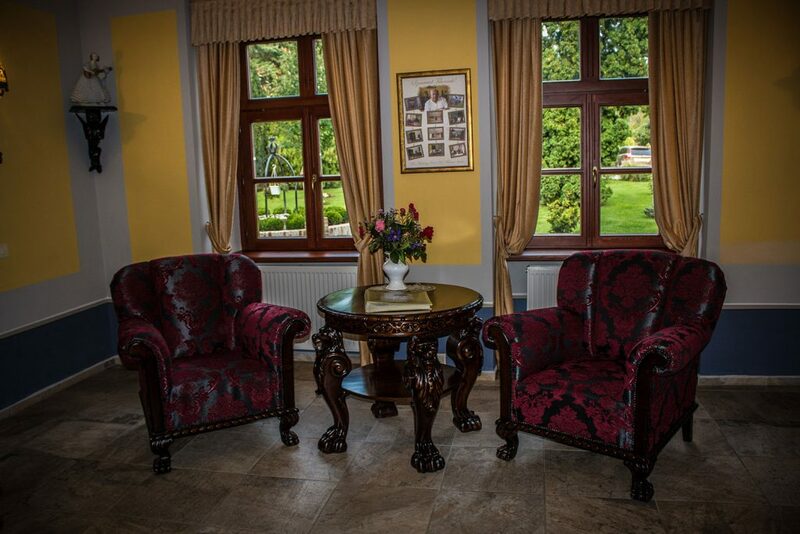 We principally recommend our lake facing bridal room located here, with elegant white furniture and a double bed, to recently married couples and to those who desire romance. 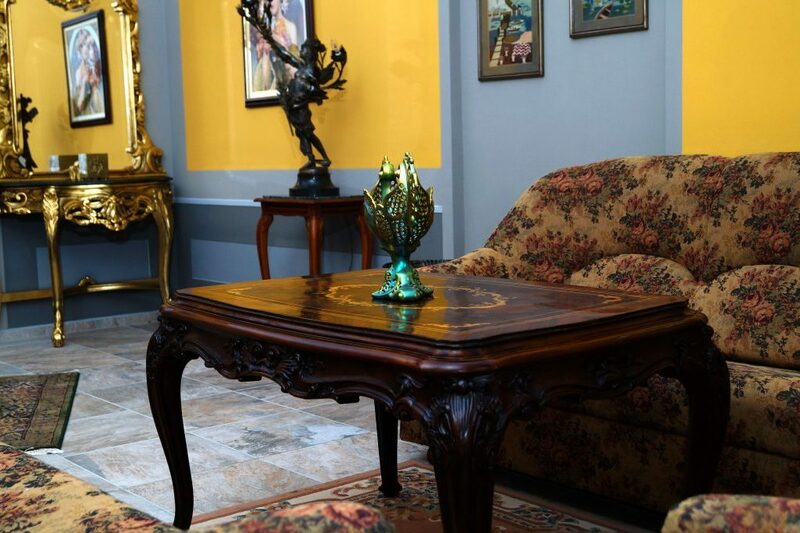 Furthermore, the Red Tower also provides a scene for contemporary artists who visit us, with its art-hall and gallery.